In part two of How to Video Record a Police Officer, Primeau Forensics wants to share some video recording techniques. Many police encounters often involve many videos that were recorded using a smart phone. 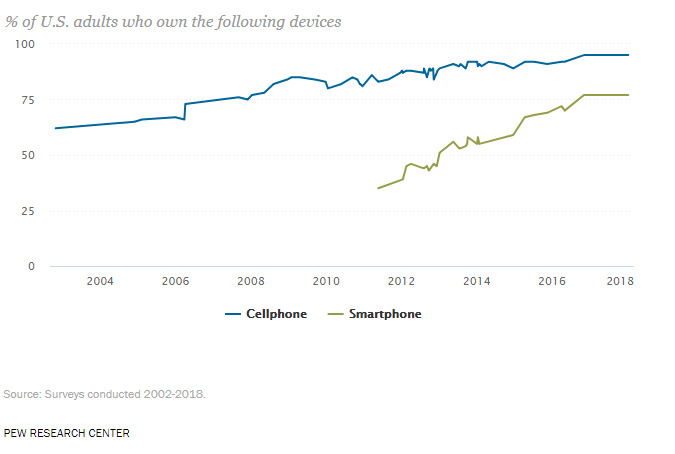 Statistics show that 77% of Americans use a smartphone. Couple that with the vast amount of apps on the market that make recording and sharing videos one of the easiest parts of a person’s day, it’s no surprise that an average of 60 hours of video are uploaded to YouTube every minute. “What does that have to do with video recording police officers and video forensics?” Because the ease of recording videos has become so prevalent in our society, more and more citizens are capturing both criminal activity and law enforcement interactions with their smartphones. These videos become an integral part of the investigation. If they are poor quality, only so much can be done to forensically enhance them. Our goal is to give you the necessary solutions to common problems that we encounter to assist you in acquiring the best recording possible. Solution: Try to stay calm and focus on keeping the camera steady. Don’t zoom in too much on the subject to where your camera is unable to properly auto focus. Be sure to keep a safe distance. Should the video need additional zooming, it can be forensically enhanced. Solution: Always film in landscape mode. Filming in landscape offers a wider view of the situation. This provides investigators with valuable information, like point of entry, outside factors, and other surroundings. Filming in landscape mode also provides a clearer image for forensic experts. Problem #3: The citizen who is filming does not “blend in” and in turn escalates the situation. Solution: If you feel like you are too close to the situation, you probably are. Safety of you and everyone else is most important. So, when in doubt, back up. Also, don’t feel the need to use any equipment more than your smartphone. As technology advances, smartphone cameras are advancing with it. Most smartphones use a 1080p resolution, which is sufficient for forensic enhancement. Problem #4: The video is edited or uploaded to social media before it is handed off to the proper authorities. Solution: Don’t alter the video in anyway. Whether it is: shortening the video, using apps or software to enhance the video or the audio, or adding effects. All of these adjustments effect the Chain of Custody (he order in which a piece of criminal evidence should be handled by persons investigating a case, specif. the unbroken trail of accountability that ensures the physical security of samples, data, and records in a criminal investigation.) as well as the forensic experts ability to identify and/or authenticate the video. We have all seen viral videos on social media or news outlets of criminal activity or law enforcement interactions. While these are important to start what could be difficult conversations in our society, it is imperative that the investigation be complete before a video is made public. Posting the video online could give suspects important details that could hinder the investigation and put lives at risk. It is important to remember that what you film could affect people’s lives. Think how you would want someone to handle the footage if it was you or a loved one in the video. Problem #5: The video is not unbiased and only focuses on one subject and not the entire situation. Solution: While you may be emotionally invested in the situation, it is crucial that the video evidence be unbiased. In order for the investigation to be as accurate as possible, investigators need to see the event in its entirety. It is a good idea to begin filming as soon as you see a problem arising and continue filming until the interaction is finalized. Another good idea is to use multiple cameras when available. This provides multiple viewpoints as well as the ability to have multiple versions of the recording to have the best possible outcome. The guidelines provided in this video are based primarily on Michigan case law. For more information, visit the Michigan legislature website. To learn more about our expert security consultant, Theo Chalogianis, please feel free to contact Chalogianis Consulting LLC at chalogianis@gmail.com. This entry was posted on Wednesday, May 23rd, 2018 at 12:19 am	and is filed under Concerned Citizen Video, Video Evidence Retrieval. You can follow any responses to this entry through the RSS 2.0 feed. You can skip to the end and leave a response. Pinging is currently not allowed.